We all know somebody who likes to hashtag their Facebook statuses and each and every time we see it, we wince a little. However, it seems that unknowingly, this tagger maybe ahead of the game. It looks like Facebook maybe introducing the little hashtag quite soon. Recent reports from the Wall Street Journal have suggested that Facebook is testing how it would like hashtags to react on its network. The discussion is over whether they should work in the same manner as they do on Twitter and Instagram, or whether these models will work on Facebook? Whether or not, Facebook hashtags do offer a range of wonderful opportunities for marketers. At the moment, the best way to get in touch with a company on the site is to mention it in a status update or to leave a message on its page. This does tend to cause a bit of a muddle and makes for a lot of scrolling. The hashtag would eliminate this problem. For brands it would also be advantageous as it would allow them to captivate fans. Brands could use a hashtag to potentially create a timeline of images or videos. This could also lead to very creative advertising, especially if Facebook includes promoted hashtags. Facebook’s user base is larger than that of Google+, Instagram and Twitter combined and in a lot of cases there is an overlap of users on these smaller sites. When we take into account the fact that during Superbowl adverts around half of all adverts had a Twitter hashtag, while only 8% of adverts used a Facebook call to action. Of course, this is understandable. Twitter allows for instant feedback, whereas Facebook takes work for consumers. However, a potential Facebook hashtag could really work well for Facebook, users and brands and has significant benefits. Until now, the notion of Facebook and a second screen has been limited. However, adding hashtags into the mix would allow marketers, as well as TV channels to take advantage of the second screen experience. This is the next big leap in marketing and Facebook needs to get on board. Social media has changed customer service; however that doesn’t mean brands aren’t always a little naughty. It’s possible for companies to hide statuses and filter them too. With a hashtag option this would be a thing of the past and gives consumers more power to tell the world what they think. A hashtag stream could also potentially work very well with the new Facebook news feed. We may see a dedicated box that would allow us to follow specific hashtags in a periphery newsfeed from our own main Newsfeed page. This would give Facebook significant leverage over other social media options and really could be a marketers dream. A Facebook hashtag would open up a whole world of possibilities, some of which are mentioned above and more of which would be understood when it comes about. 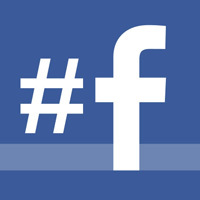 How would you use hashtags on Facebook? Tell us in the comments below. My Social Agency is a digital marketing agency with offices in Leeds and London. Get in touch to learn more about social media marketing.